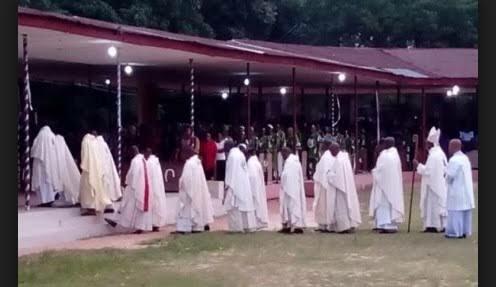 Four Catholic priests who were abducted on November 6, 2018, by unknown persons in Delta state, have regained their freedom. The Nigeria Police Force, Delta Command, confirmed on Saturday that the priests were rescued near Abraka, Ethiope East Local Government Area of the state. According to the Police Commissioner, Muhammad Mustafa, the victims were rescued on Friday evening at a location he did not disclose. “They were rescued on Friday and we are on the trail of the other suspects. We do not encourage ransom, so no ransom was paid,” Mustafa said. The captors had earlier demanded for N4million as ransom.